Jeffrey Simonoff is the Professor of Statistics at New York University Stern School of Business. He teaches courses in statistics and data analysis, and regression and multivariate data analysis. 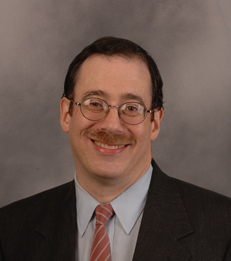 Dr. Simonoff has been with Stern for more than 35 years. His primary areas of research include flexible nonparametric methods, methodologies for longitudinal and time-to-event data, the analysis of large data sets, and the application of statistics to problems in business and science. He has written several books including Smoothing Methods in Statistics (subsequently released in a special edition in the People's Republic of China, and also translated into Japanese), A Casebook for a First Course in Statistics and Data Analysis, Analyzing Categorical Data, Nonprofit Trusteeship in Different Contexts, and Handbook of Regression Analysis. He co-edited The SAGE Handbook of Multilevel Modeling. He is a Fellow of the American Statistical Association and of the Institute of Mathematical Statistics, and an Elected Member of the International Statistical Institute. His work has been published in numerous journals including The Journal of Futures Markets, Journal of the American Statistical Association, Journal of the Royal Statistical Society, The Journal of Business, Journal of Machine Learning Research, Machine Learning, and Risk Analysis. In addition, Dr. Simonoff is Co-Editor of Statistical Modelling: An International Journal, and a member of the Editorial Board of Foundations and Trends in Econometrics. He has chaired or served on many Stern and University task forces and committees, and was a finalist for Stern School Professor of the Year in 1997. Dr. Simonoff received his Bachelor of Science from SUNY Stony Brook, and both a Master of Philosophy and Doctor of Philosophy in statistics from Yale University. Prof. Jeffrey Simonoff on his Broadway research and the movie "Rock of Ages"